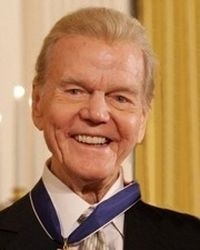 Today is anniversary of the death the all-time great broadcaster, Paul Harvey. A shock it was to the world but his legacy lives on in recordings you can access on YouTube and experience again valuable and life enhancing ideas. A real treat to be entertained, informed, learn and inspired to excell while going about business. Reminds me of the Creator's provision for to all of us if we keep our minds open to growth and learning.